Evening fundraising event featuring hors d’oeuvres, and a short presentation ceremony. 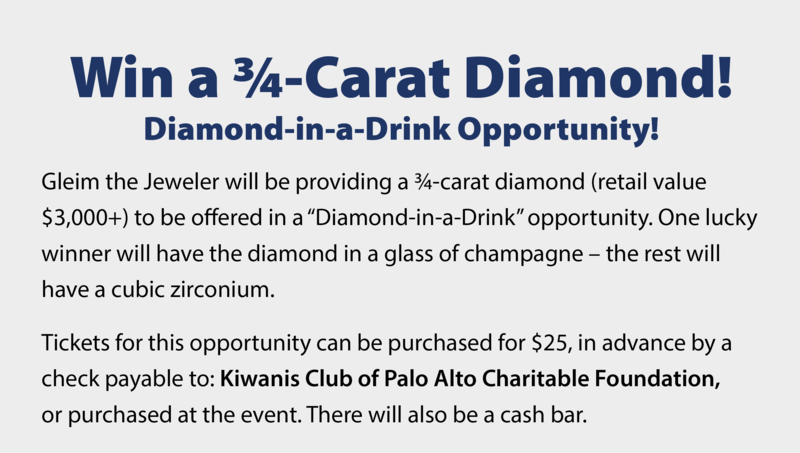 Will support the Kiwanis Club of Palo Alto Charitable Foundation. These funds benefit educational institutions which support programs and services for children and youth in the Palo Alto area. Email Jim Stinger with any questions. 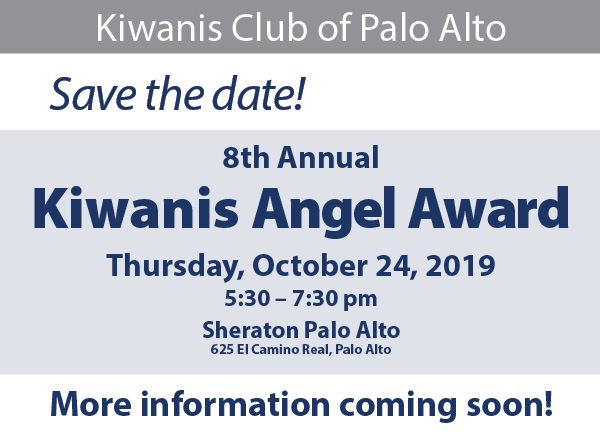 Would you like to donate to the Kiwanis Angel Award ? Click here to make an online donation.